DIED 11TH FEB. 1988 AGED 72. DIED 29TH APRIL 2003, AGED 81. Patricia (died 1967) was possibly a granddaughter of James Lennon's. 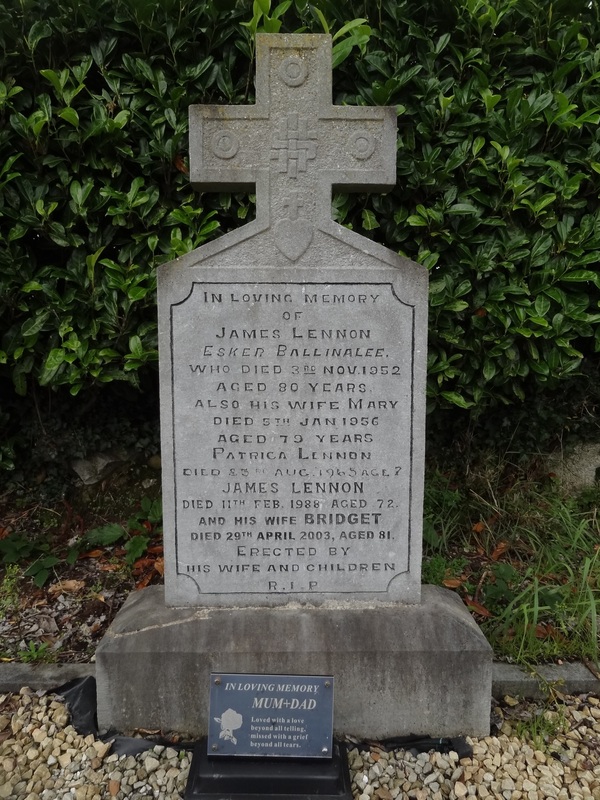 It is possible that James Lennon (died 1988) and James's wife Bridget (died 2003) is a son and daughter-in-law, respectively. Additional, recent, memorial plaque situated at base of headstone.